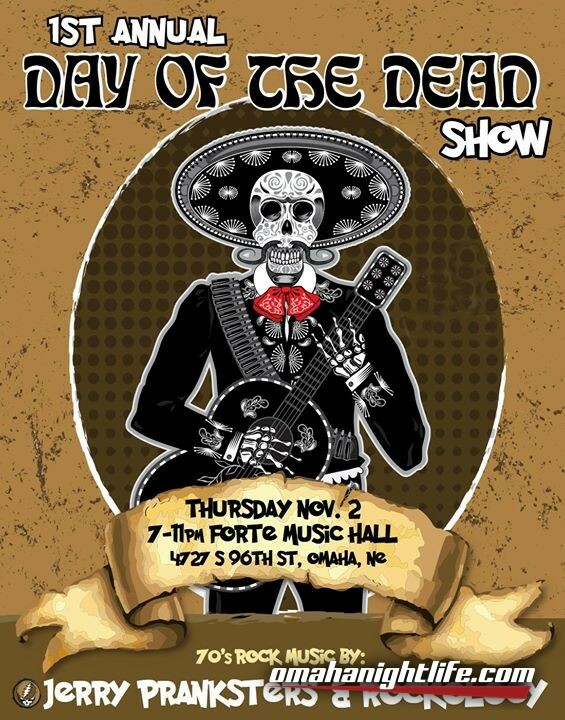 1st Annual Day of the Dead Show featuring the Jerry Pransters and Rockology! 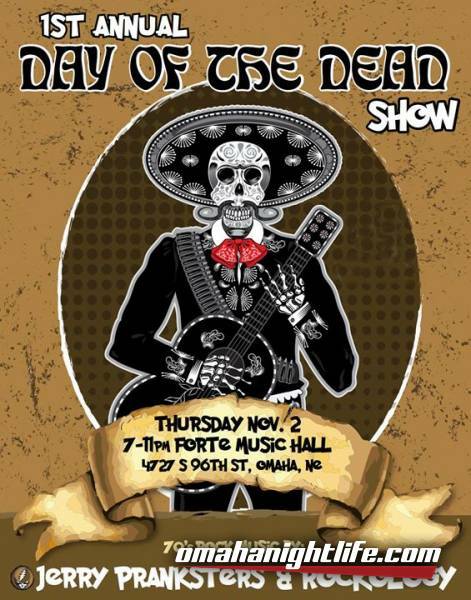 The Jerry Pranskers will perform some of the best of the legendary Grateful Dead tunes while Rockology will rock out 1970s music....show starts at 7:00 p.m. with a $8 cover charge. Going to be a rockin' time with special guest Dolce Vita and her snake 'BlondieS'.